Lawyers for Boston Marathon bombing suspect Dzhokhar Tsarnaev say federal prosecutors shouldn't be allowed to use his status as a new American citizen to argue that his alleged "betrayal" of the United States is one reason he should be put to death. In a court filing Thursday, Tsarnaev's lawyers say prosecutors are trying to use Tsarnaev's foreign birth and immigration history against him. They say citing his status as a newly naturalized U.S. citizen implies he is "more deserving of the death penalty" than a native-born person who commits the same crime. Tsarnaev is awaiting trial on 30 federal charges in the 2013 marathon bombing. Twin bombs placed near the finish line of the marathon ripped into crowds gathered to watch the annual event, killing three people and injuring more than 260. At least 16 people lost limbs. Authorities say Tsarnaev, then 19, and his brother Tamerlan Tsarnaev, 26, built the pressure cooker bombs and placed them near the finish line to retaliate against the U.S. for its actions in Muslim countries. "Betrayal of the United States" is one of several so-called "aggravating factors" prosecutors listed in their notice of intent to seek the death penalty. Dzhokhar Tsarnaev lived in the former Soviet republic of Kyrgyzstan and later in Russia before moving to the U.S. at age 8 with his parents and siblings. The family settled in Cambridge. 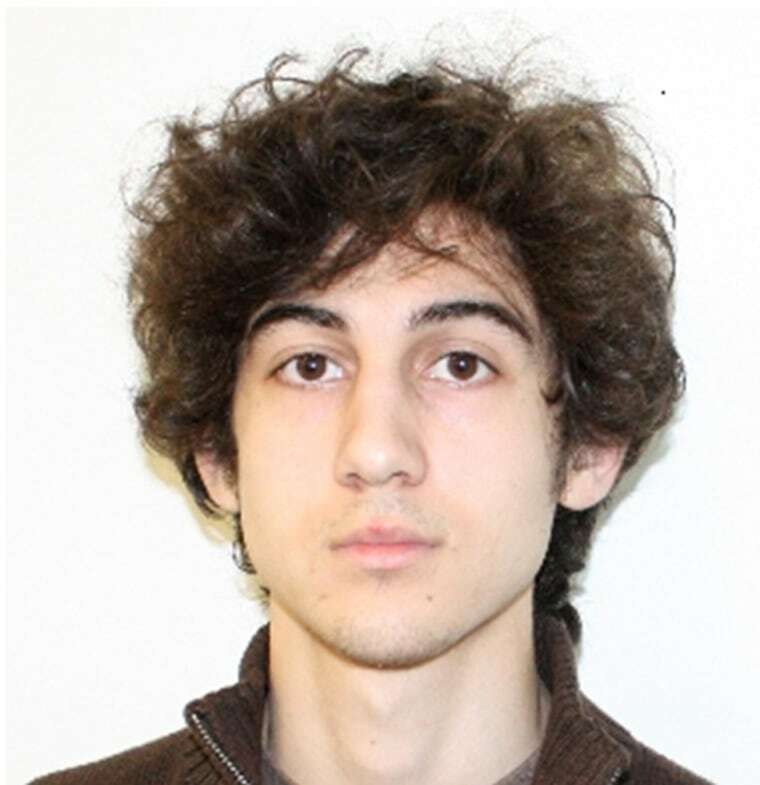 Tsarnaev was granted asylum and became a naturalized U.S. citizen, about seven months before the marathon bombing. "Resentment of Tsarnaev's immigration status and history is perhaps natural, given the nature of the crimes charged, and it is surely very widespread. But the fact that he had only recently become a citizen, standing alone, does not increase his moral or legal guilt, and it should not be permitted," Tsarnaev's lawyers argue in the motion. A spokeswoman for U.S. Attorney Carmen Ortiz declined to comment and said prosecutors will respond to the defense motion in a written court filing. In their notice to seek the death penalty, prosecutors said: "Dzhokhar Tsarnaev received asylum from the United States; obtained citizenship and enjoyed the freedoms of a United States citizen; and then betrayed his allegiance to the United States by killing and maiming people in the United States."